On February 21st, Ha Sungwoon released the track list for his first mini album ‘My Moment‘. Check it out below! It is no surprise that Sungwoon composed every song on his mini album. Even when he was in Wanna One, he composed songs for them, including the track ‘Flowerbomb‘ on their last album ‘1¹¹=1 (Power of Destiny)‘. 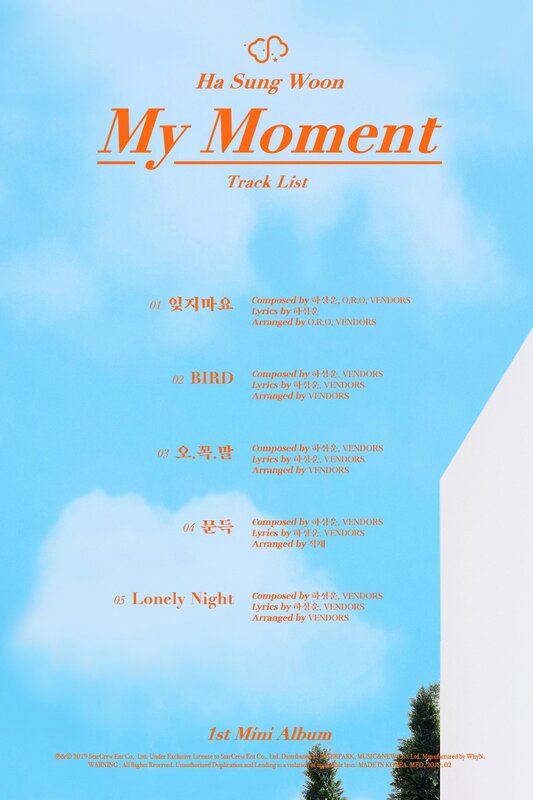 The title track of ‘My Moment‘ is ‘Bird‘.